Solid 5 bedroom/3bath 3000 sq.ft. home with some updating on oversized 6281' lot in prime Fraserview neighbourhood. Views SE to Richmond. Easy suite potential with separate entry and 2nd kitchen. Detached two-car garage, plus carport, heated workshop, storage, etc. 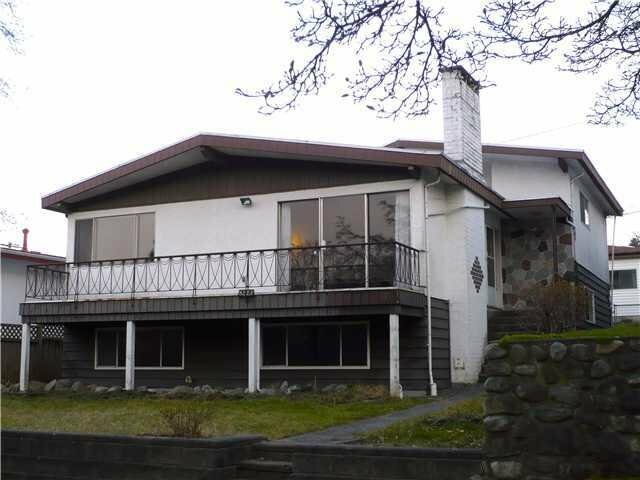 Close to Champlain Mall, across the street from Fraserview Golf Course. School catchments: Oppenheimer Elementary, David Thompson Secondary. Perfect starter home, or a super lot for those looking to build their dream home. RS - 1 zoning allows approx. 4400 sq. ft. new home. SOLD SUBJECT TO COURT APPROVAL - CALL LISTING REALTOR FOR DETAILS.